Color/Appearance: Color can range from a light pinkish orange to a deeper reddish brown. Color becomes darker upon prolonged exposure to light. 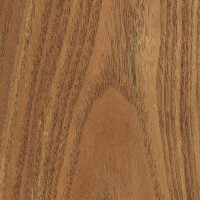 Well-defined sapwood is a lighter yellow. 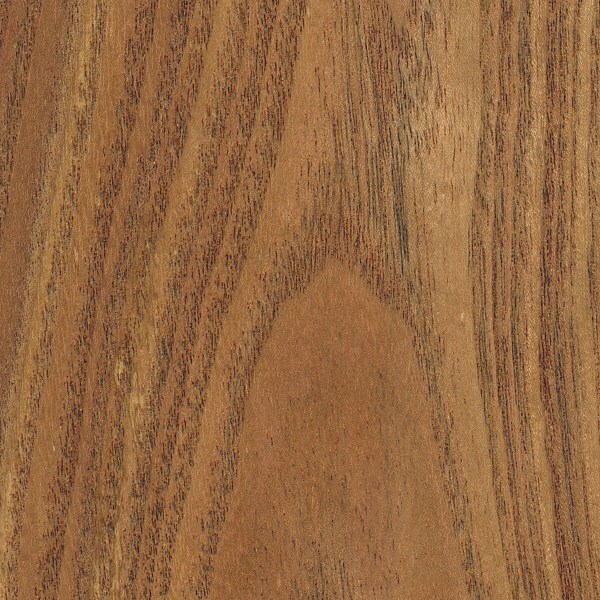 Grain/Texture: Grain is usually straight, though occasionally interlocked. 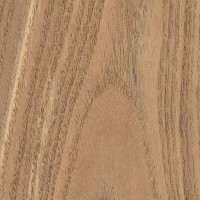 Texture is coarse and uneven, though with a pronounced natural luster. 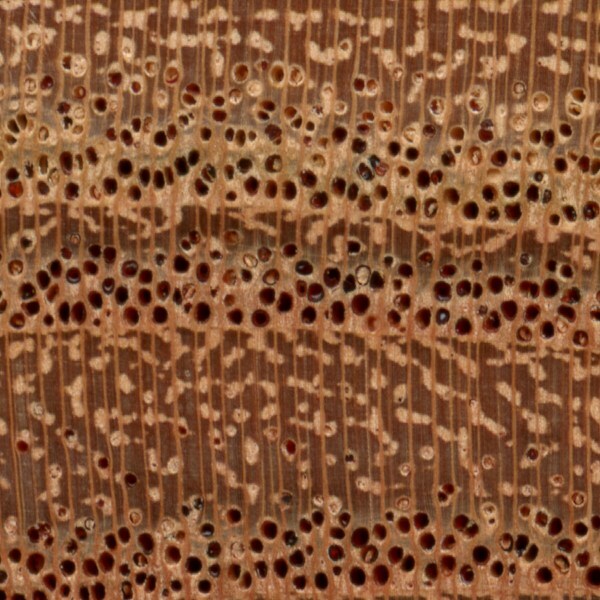 Endgrain: Ring-porous (or sometimes semi-ring-porous); 2-4 rows of large earlywood pores, small to medium latewood pores in tangential, diagonal, or clustered arrangement; reddish brown heartwood deposits present in earlywood; rays may be just barely visible without lens; parenchyma vasicentric, confluent, and banded (marginal). Rot Resistance: There are many conflicting reports on Chinaberry’s durability. The heartwood is generally considered at least moderately durable, and somewhat resistant to insect attack. Allergies/Toxicity: Although severe reactions are quite uncommon, Chinaberry has been reported to cause skin and respiratory irritation, as well as headaches. See the articles Wood Allergies and Toxicity and Wood Dust Safety for more information. 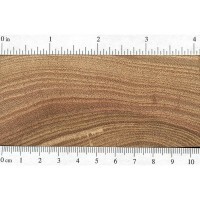 Pricing/Availability: Not commercially available as lumber, Chinaberry is mostly restricted to smaller-scale and hobbyist uses. Most pieces available in the United States are not imported, but are harvested from (introduced) locally grown trees. Prices should be moderate for such a specialty species. 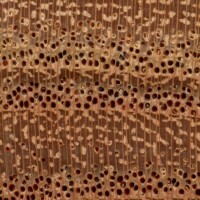 Common Uses: Veneer, carvings, furniture, and turned objects. Comments: Sometimes called “Persian Lilac,” though the name usually rather refers to a hybrid lilac in the Syringa genus. Chinaberry is not closely related to true lilacs, but is rather related to the various types of Mahogany in the Meliaceae family. 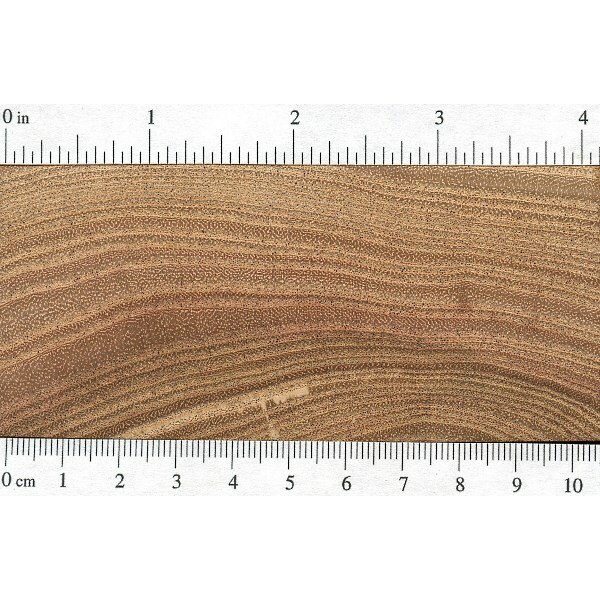 Chinaberry is a potentially commercially valuable timber tree throughout its natural range in Asia, though perhaps under-utilized and under-appreciated. Chinaberry has also been introduced in the southeastern United States as an ornamental tree, though it’s now considered by many to be an invasive species. This tree grows for miles in Central Florida along old railroad tracks. The bark peels off like a banana. Very easy to work with. My Mother has one in her field that is over 50 years old. I have a large bowl made from a China berry wood. The wood has been dried, sanded and treated with mineral oil once a month. The bowl I will be used to make biscuits. I’ve been told that the wood is still poisonous. Is this true? I live in deep south Texas, Chinaberry is an unwanted invasive here We chop them down randomly as they pop up. 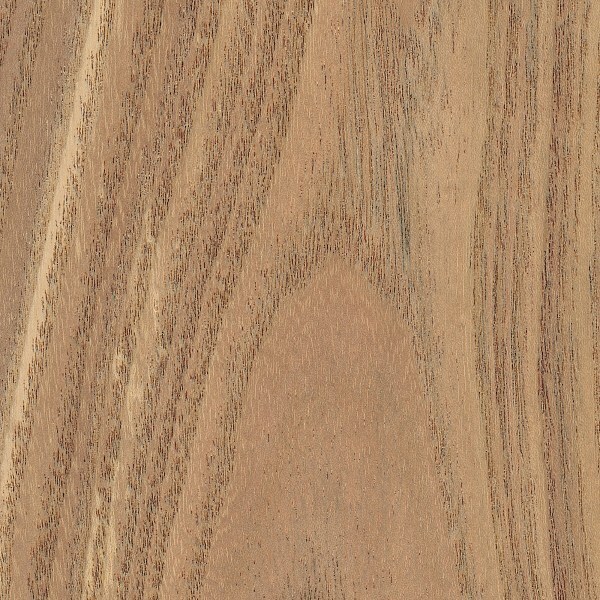 After finding this nice grain pattern I may just mill my own and see what sort of things I can create! I will return and post photos if I go through with it! go ahead and post some pics! I am working with some Chinaberry right now and am finding it has an odor similar to a well stocked humidor. Hi les, I’m curious how you identified that it is in fact Chinaberry. It should not have much of a scent when sanded or cut/planed. But if you are using a table saw, then perhaps. 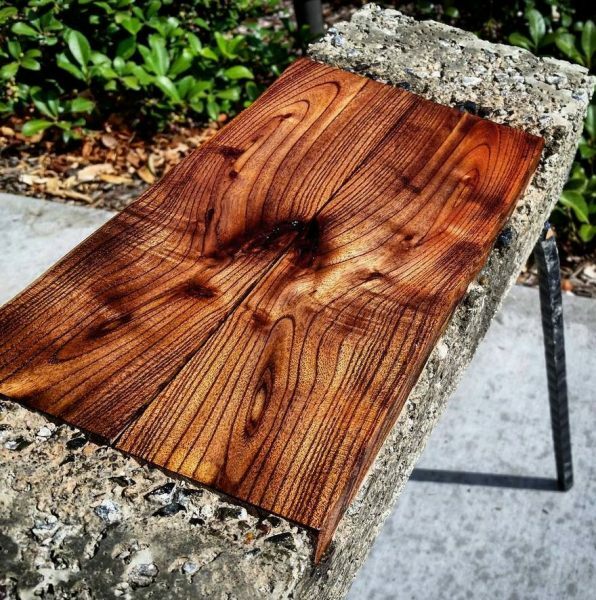 Does the end grain look like this? How about the face grain?